It’s been 4 years ago since I last did an online workshop. Therefore, I’ve decided to do another online workshop this summer. This one-off online workshop will be limited to only 5 students. You can learn anything you want and ask anything you want, as long if it’s related to the art of photography. You want to learn tips and tricks for instant results? Or want an in-depth portfolio review? Maybe you want to be among one of the few people who like to be inducted into the secrets of creating the most advanced, accurate selections in the fastest possible way (no you won’t find anything similar anywhere else)? Or perhaps you want to ‘take the red pill and go deep down the rabbit hole’? It will be a 4 week course starting at various moments in July with 3 one-on-one video chats of around 1.5 hrs per video chat. Of course there will be email communication as well and you will receive relevant documentation when applicable. In case you don’t have my Black and White Speed workflow video tutorial yet, you will get it from me as part of the course. The topic will vary per student: the student decides and can choose from a few topics that are described further down this post. Anything is possible but if you want to learn basic Photoshop techniques then I would recommend other courses that are much cheaper. This one requires a basic knowledge of PS. Registration of this online workshop has now started and will be closed Thursday June 29, 2017 at noon Central European Time / 6am EDT / 3am PDT or when all available places have been taken. This is a highly individualized 1-on-1 workshop where you will be enabled to communicate directly with me through Skype video on 3 separate calls that will take up around 1.5 hours to 2 hours on average per video session. During those Skype video chats (after registration I will contact you to set the dates and times for the Skype sessions) I will do demonstrations by sharing my screen. You’re of course allowed to record those sessions on video so you can watch them back later. The 3 video chats will take place during the 4 weeks in week 1, week 2 and week 4. Of course we also communicate through email when there are no video sessions and there’s no limit to the amount of emails/questions you can ask, but of course all within reasonable hours and frequency. Besides the Skype sessions and the email Q and A’s you will also receive relevant documentation and presentations as PDF files, depending on the topics you’ve chosen and the Black and White Speed Workflow video tutorial. You can choose from the following topics at any given level. The student decides the topic and the entry level. You can choose at least one Major course – this will be the main topic throughout the workshop – and one or more minor courses – this means that we will go into those topics whenever time permits and if the goals of the major course have been achieved. 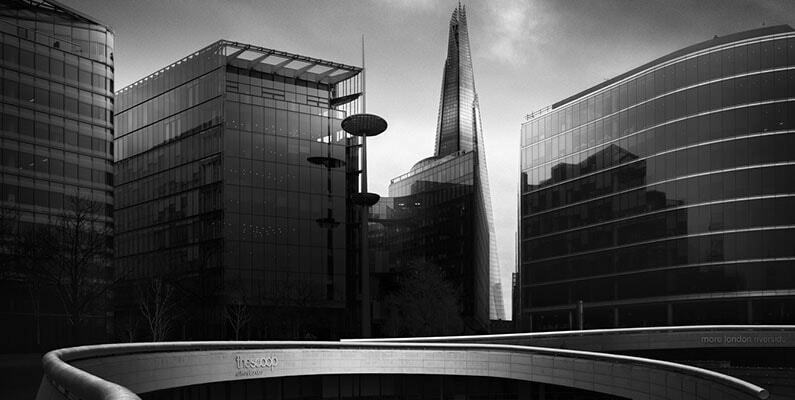 It would be impossible to have all topics mentioned above for this workshop but a good combination would be Black and White post processing with Advanced Selection Techniques and Rules of Good B&W photography for example. I can advice you what the best program is for you, depending on your interests and goals and your experience and skill level. 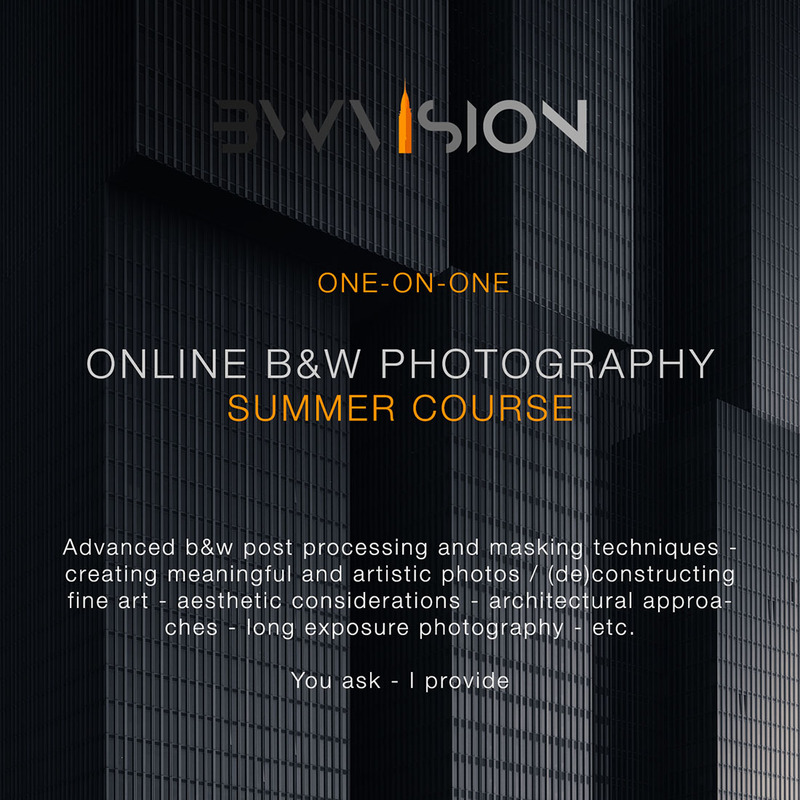 Since the student gets to choose the Major topic and Minor topics and the online course is individually customized, this course is open for beginners and advanced professional photographers. Know how to use the basic selection tools like Quick Selection tools and Lasso tool. For all other topics you need to have some basic camera knowledge and of course a healthy dose of enthusiasm. The price of the Summer Course is $540. One I have been waiting for many moon’s but will not be able to join thus time but PLEASE will you repeat this course. Thank you Chris but it isn’t very likely I will be doing this again any time soon. I’m sorry about that. But there’s always a possibility of course. Thanks again. Thank you Annette, have a wonderful summer too! My hobby is photography and now serving me as therapy after my accident in which i have lost my left hand up to the wrist. I have 62 years and on pension so honestly I can afford to pay for this kind of workshop. I am ready to send certificates of my accident and my pension. Please can you by any how help me to learn. I have a good idea how to use Photoshop,such as layers,masks,and tools.